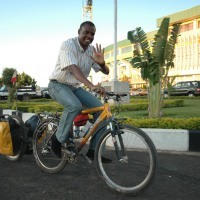 During the whole journey through Rwanda I hold the view that the country can easily be crossed on a bike without pedals. Nothing but short-lasting, adrenalin filling rides downhill and continuous uphill struggles, which are so steep that it is often more convenient to push the bike. 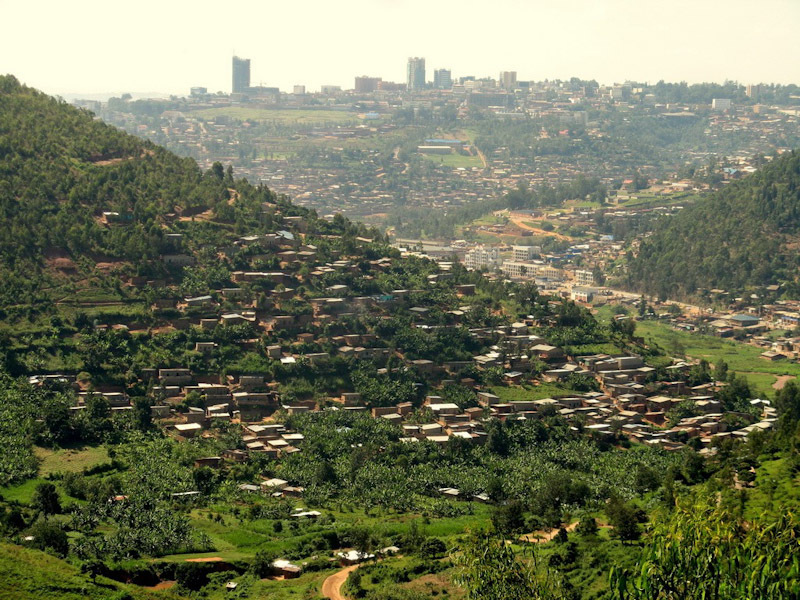 Just before reaching Kigali there is yet another downhill ride, followed by a steep ascent. This time I do not give up and keep pedaling all the way up. My heartbeat rate is more than tripled at the top. 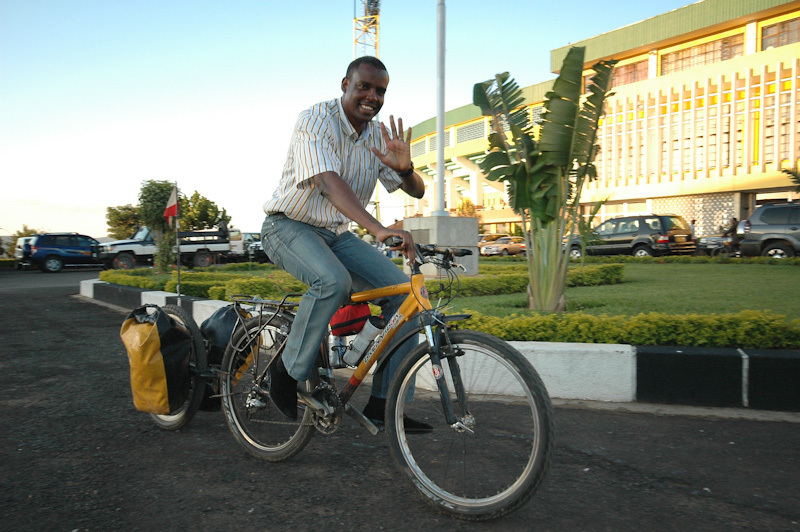 That is what it takes to ride a bike with a trailer and four overweight side bags. I feel like a workhorse, the one that has reached his goal for today. 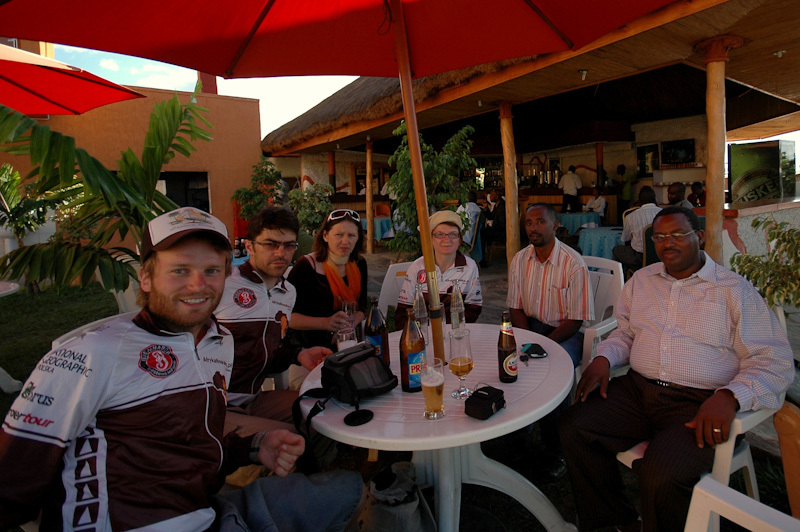 We find the Pallottines missionary center, where we get to know missionaries and experience their warm hospitality. Soon there is a hearty meal on a table served with drinks and tropical fruit. Worth to mention that passionfruit, Japanese plums and bananas are cultivated on the premises. 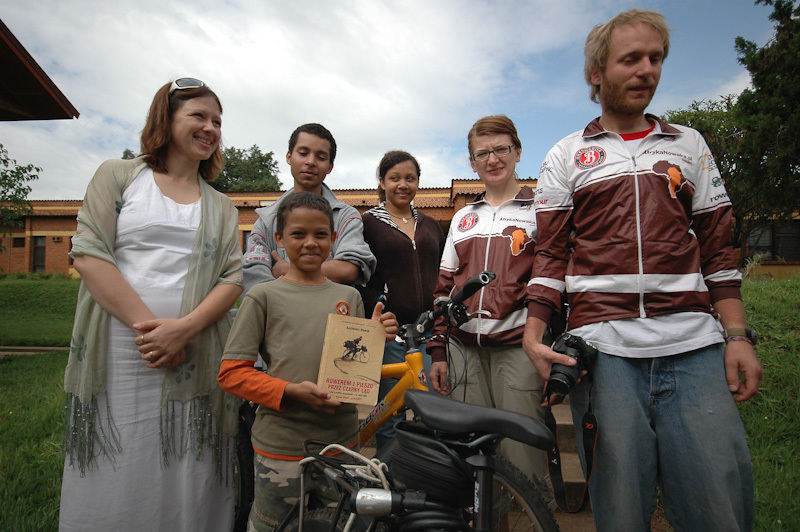 Here we get to know Beata Shyaka, a Polish woman living in Kigali with her Rwandan husband and three children. 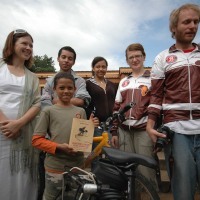 Beata helps us to organize several meetings aimed at promoting our bike trip in Rwanda. During our stay in the capital we visit the Ministry of Sport and Culture in Rwanda, which is located next to the stadium. It is a loud place at the moment. The national teams of Rwanda and DR Congo are playing the game. The minister Jean-Pierre Karabanga enters the meeting room. We’re talking about sport in Rwanda. 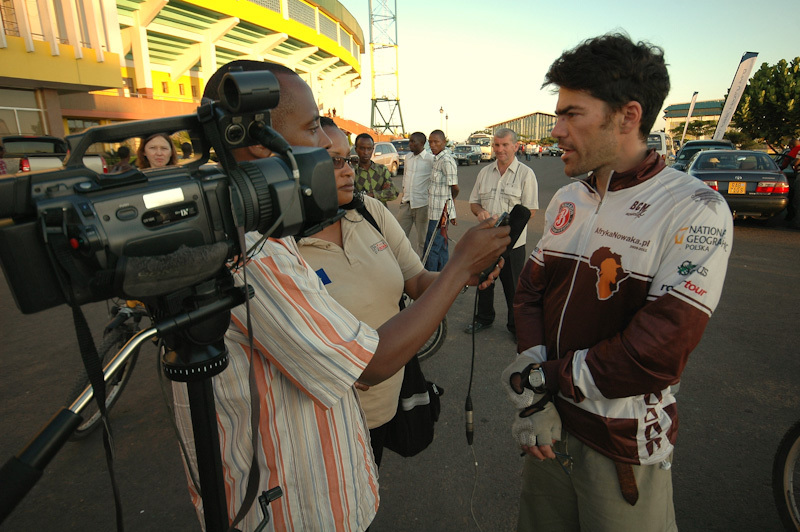 The other time in a luxury hotel Sportview we meet Charles Ngarambe, honorary Polish consul. 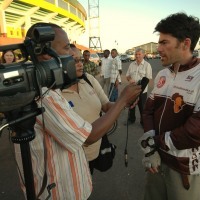 Local media, including radio, television and newspapers, get interested in our bike adventure. 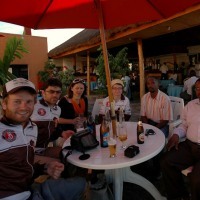 We explain and reveal the details about our project to cross several African countries by bicycle. It all takes long time, however even after dusk we manage to show up for special meeting with Bizimana Fetus, the vice president of Rwanda Cycling Federation. We are invited to Gorilla Race, out of courtesy we react enthusiastically. Honestly, the idea needs to be reconsidered, as in fact we are much closer to travelers on bikes, rather than professional cyclists. Well, probably enough of those meetings, fame and tight deadlines. Let’s hit the road and carry on the adventure!